Director Anthony Wilcox recently delved into the world of film making for Instagram with the creation of ‘Shield 5’, Instagram’s first ever episodic thriller. The 28 part series, graded by London based Mill colourist Jim Bracher, is broadcast daily via 15-second clips posted to the @Shieldfive Instagram page. It follows the story of a security driver in London who is arrested for his supposed involvement in a diamond heist and murder, forcing him to go on the run in a attempt to clear his name. Wilcox is previous known for his work on Hot Fuzz, The Trip and Brighton Rock, however this is the first project that sees him take the helm in order to create something unique to social media. I’ve been writing and developing what I hope will be my next feature film for a year or so and in that time have directed some short, online content. I found the speed and intensity of the turnarounds on these refreshing and started to think of ways of doing something like that of my own. I looked at web series but was drawn to Instagram as it seemed there was very little, if any, dramatic content on the platform. The potentially huge, global audience was also appealing! I wanted to do something bold and cinematic on a tiny screen so the thriller genre seemed the most obvious to explore. The film is inspired by classic Hollywood thrillers like The Fugitive. In our story a security guard is accused of a crime he claims he didn’t commit. He escapes the police and goes on the run in an attempt to prove his innocence. Instagram limits its video content to 15 seconds, so the story is told through 28 x 15 second episodes and 28 photographs that accompany each episode. These are integral to the storytelling. We release one episode and one photo a day, at 5pm. One fun element is that Instagram videos play on a loop — you can’t pause or scroll through — so where feasible we tried to make the last frame cut with the first, meaning the joins are harder to spot and hopefully create the illusion of something longer than 15 seconds! The main challenges were definitely in the story telling. We wanted it to be as ambitious and layered as possible. The writer and co-creator of Shield 5, Adam Dewar, worked tirelessly and brilliantly on the story and then breaking the crucial beats down into these tiny segments. That meant, on set, I was able to concentrate on all the right things - performance, camera and design - and rarely had to think about the time constraints. 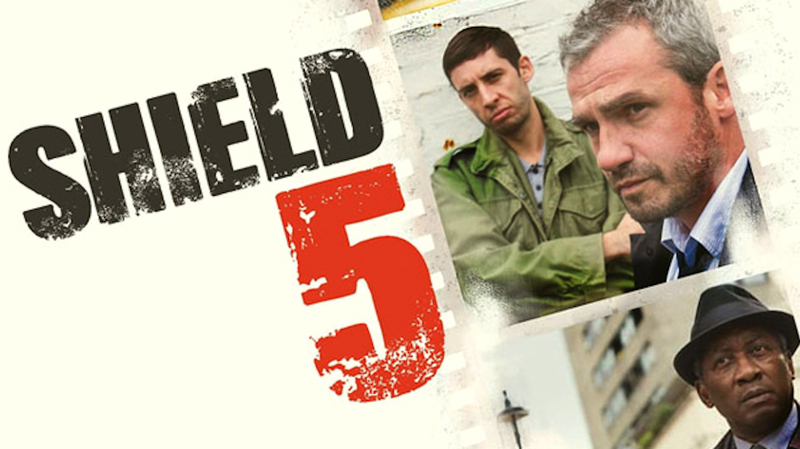 Keep up to date with the Shield 5 story and watch the thriller by following @Shieldfive Instagram channel.